Birdwings are butterflies in the swallowtail family, that belong to the genera Trogonoptera, Troides, and Ornithoptera. Most recent authorities recognise 36 species, however, this is debated, and some authorities include additional genera. Birdwings are named for their exceptional size, angular wings, and birdlike flight. They are native to the Indian subcontinent, mainland and archipelagic Southeast Asia, and Australasia. 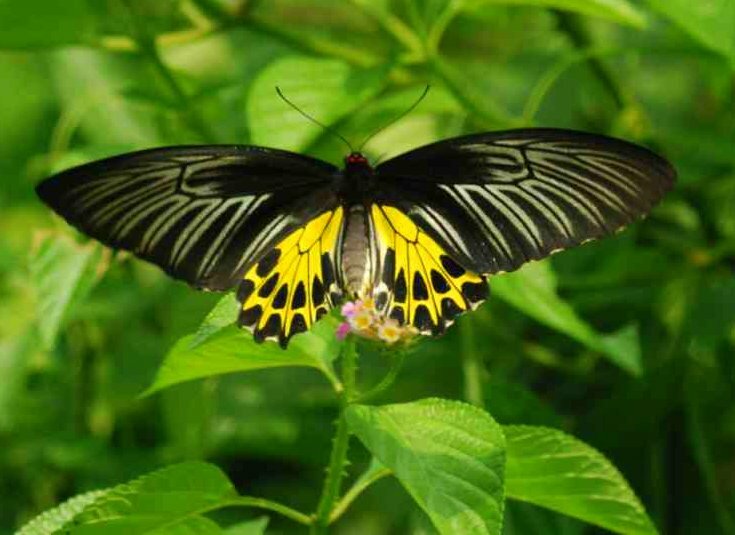 Troides rhadamantus, the golden birdwing, is a birdwing butterfly that inhabits the Philippines. This species is protected under Wild Animals Protection Ordinance Cap 170 in Hong Kong. 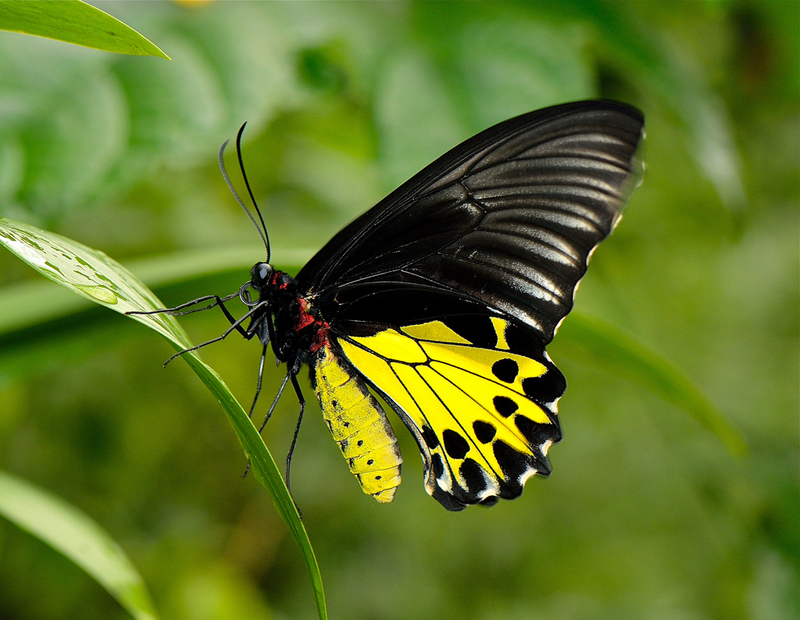 The common birdwing is protected in Indonesia and may also require protection in peninsular Malaya. It is listed in Appendix II of Convention on the International Trade in Endangered Species of Wild Flora and Fauna, as are all other Troides species. A food plant for the species, Aristolochia tagala has been planted in the Kadoorie Farm and Shan Liu Road in Hong Kong to sustain a healthy population of the species.